Our fabrics are very strong and both waterproof and highly water-repellent. However, sun, wind, rain and wear will weaken any fabric over time. You can read more about how UV can damage fabrics here. Re-treating the fabric will improve both protection against UV damage and water repellency, but will not help with tear strength. For re-treating our outer tent fabrics, we recommend Nikwax Tent & Gear SolarProof, which is easy to use and does not contain fluorocarbons. 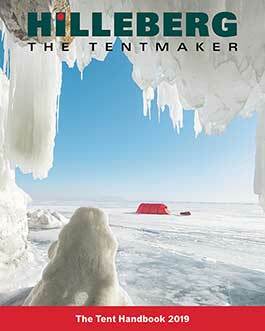 Set up your tent and wash it with a sponge and lukewarm water. Spray or brush the Tent & Gear SolarProof on the fabric and wipe off any excess liquid. Once the tent has dried it is ready for use. Please note that Tent & Gear SolarProof should not be used on a new tent, but only on one that has lost its water repellent ability. Note also that we always recommend that you protect your tent from harmful UV rays by avoiding pitching it in direct sunlight and/or by using a tarp as sun protection. If the water repellency of your inner tent has diminished over a long period of use, you can use Nikwax TX.Direct© Spray-On, which works well on fabrics – like those in our inner tents – that need to have both air permeability and water repellency. As with Tent & Gear SolarProof , spray on the TX.Direct, wipe off any excess liquid, then let it dry. If you would like more information about these products and to find out where you can purchase them, please visit www.nikwax.com.